Our first destination spot on our 2017 Fall National Park trip was to Greenbrier Campground in Gatlinburg, Tennessee. 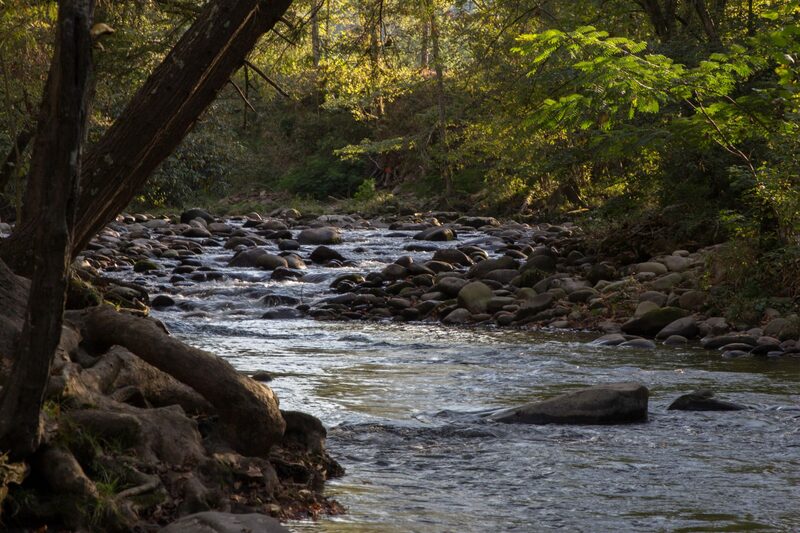 The campground sits at the foot The Great Smokey Mountain National Park just a few minutes from downtown Gatlinburg. A perfect location for exploring the National Park and surrounding area. I started planning this trip back in May when I was laid up after ankle surgery and in doing so I was able to reserve one of the super premium spots along the river. 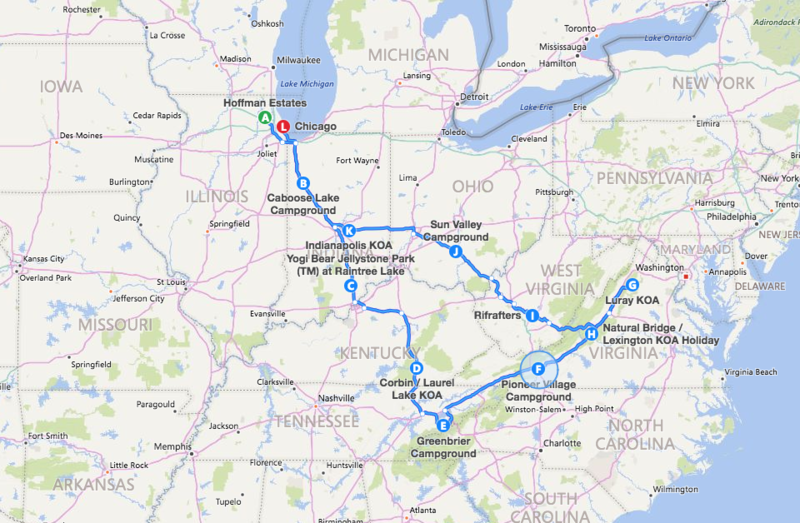 The bulk of Greenbrier Campground is a large single loop with a huge grassy area in the middle. 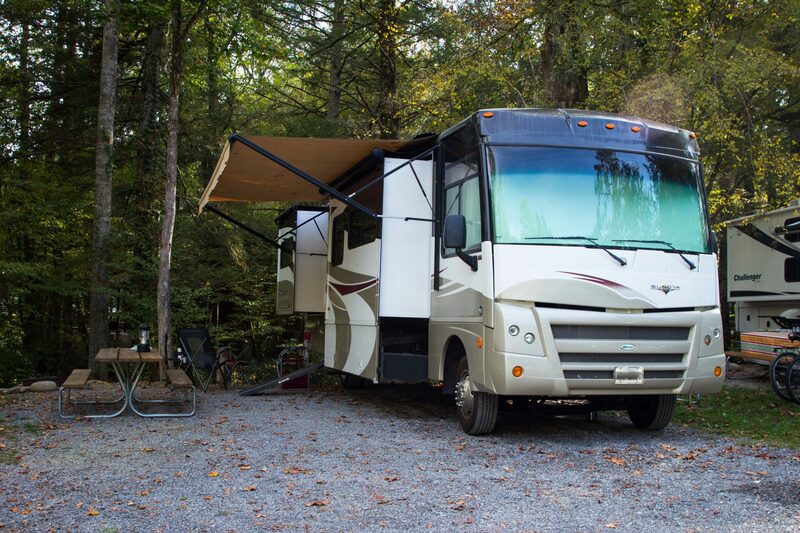 There is a good size camp store, laundry facilities, playground and a small beach area to go swimming in the Little Pigeon River that runs along the far side of the campground. 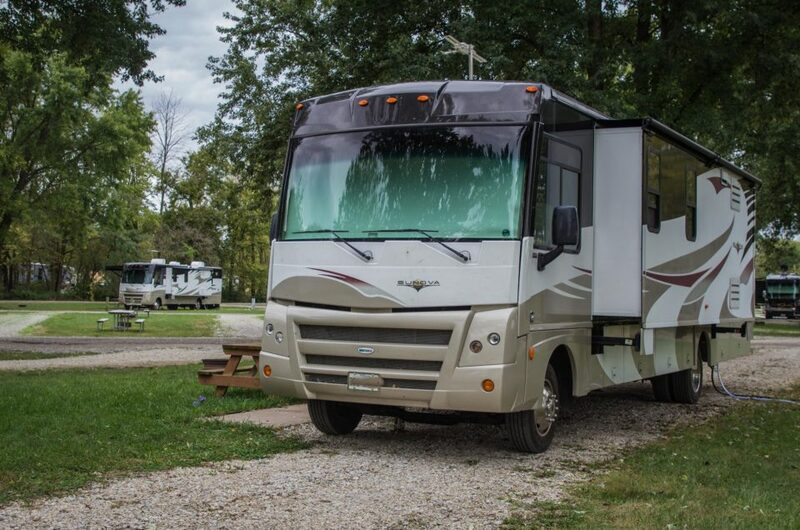 In addition to a fair number of RV sites, there is a small area across a creek for tent camping and a couple of small rental cabins.. Tent camping is also available in the grassy area in the middle of the campground. To be honest this was a downside in my opinion. We had reserved site #32 a super premium site that angled along the river. We had this spot for the first 4 nights of our stay and then moved over to site #27 for our last night. Both were actually on the river, but site #32 was more private (and huge). The rushing water from the river was constant and so peaceful. Site #27 backed up to a creek bed that flowed in to the larger river. That was more of a standard RV spot. Somewhat spacious but not as large and private as #32. 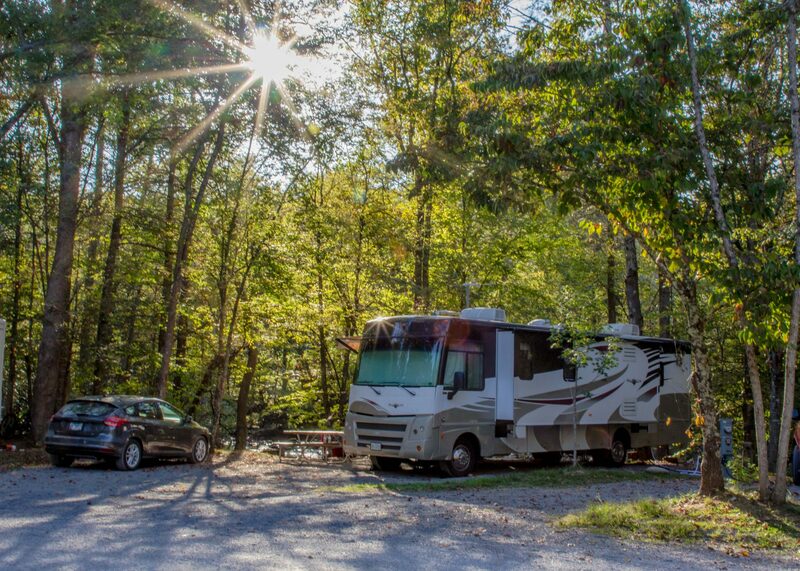 If you are looking for a campground near The Great Smokey Mountain National Park, I would highly recommend Greenbriar Campground, it was the perfection location for exploring the Gatlinburg Area. I would advise to reserve early so you can get the super premium spots. There are only about 3 of them, but they are so worth it!. Site: Some premium sites some standard sites. Premium sites are awesome. Site Type: Pull Through for first 4 nights, back in for last night.